Last week end I had the opportunity to try my hand on the open Beta of the new game from Bungie (known for the Halo franchise). 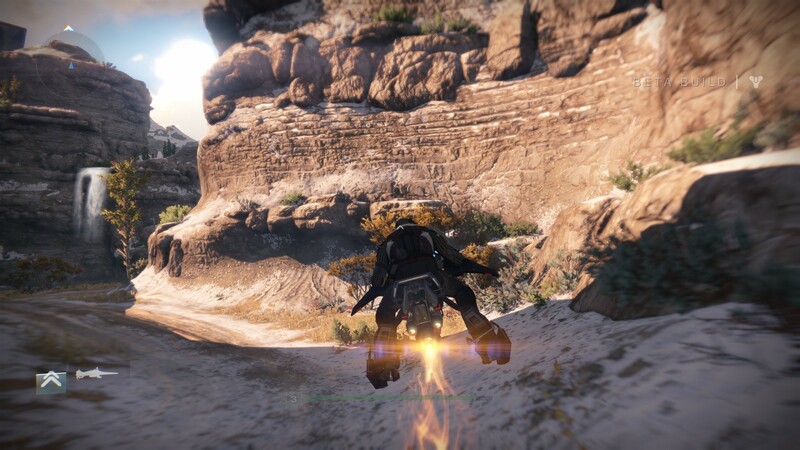 The game is called Destiny and is set to be released on Xbox 360, Xbox One, Ps3 and Ps4 on the 9th of September 2014. I played it on Ps4 for about 2-3hours on Saturday and about 1h on Sunday. FPS: stands for First Person Shooter. In this type of game you are equipped with shooting weapons and you will have to use them to stay alive. Call of Duty and Battlefield are FPS that you can play online. RPG: stands for Role Playing Game. You create a character and with the experience won you develop or upgrade some of the attributes. Skyrim is a RPG. The first step when I logged in was then to pick a class. 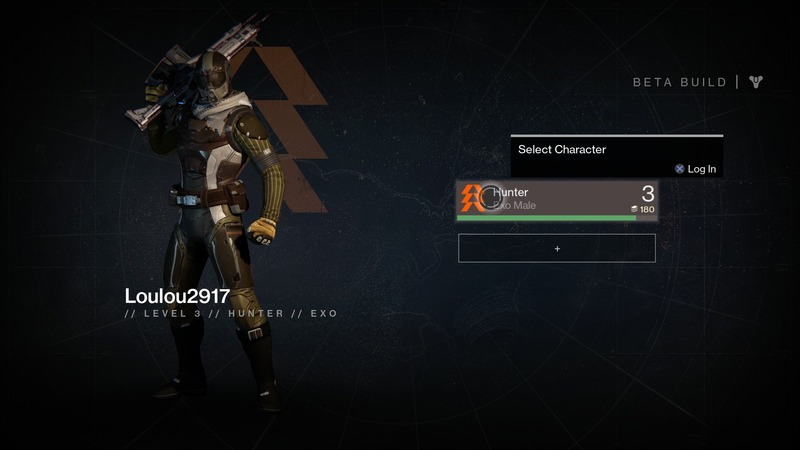 You had 3 options and I picked Hunter as I am no fan and expert of FPS and thought that hunter were close to the rogue class. I was able to customize a lot of my features but unfortunately as you can see above they are not always visible as my equipment is hiding it. I didn’t see also a place where I could customize my name…After this customization I got the below loading screen that I find gorgeous and revived my love for space-opera. You have a quick mission and get a companion Ghost voiced by Peter Dinklage and then fly to the Tower, ie the safe hub where you will buy, sell and have specialized characters. 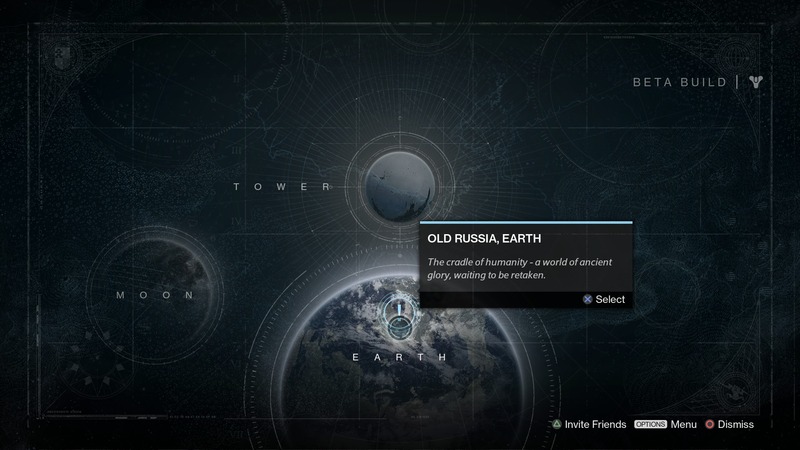 After some mandatory errand I flew back to Old Russia,Earth. At the end of a mission you have screens like the one below. All in all, I’m glad I was able to join for the Beta as this game intrigued me for quite some time. 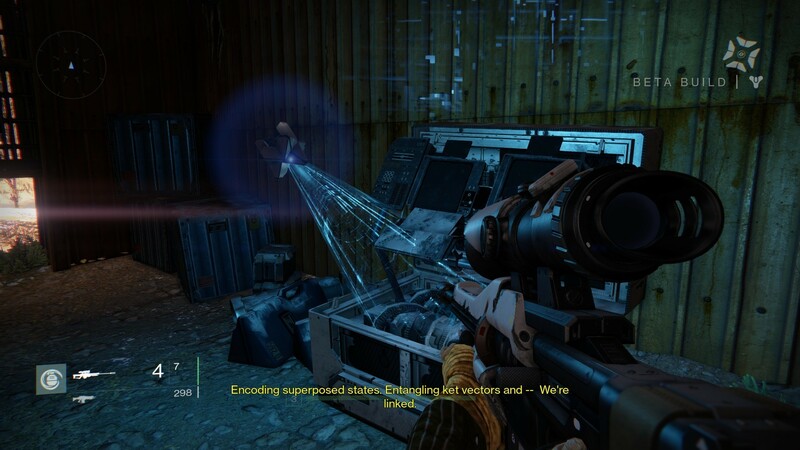 I didn’t see anything that let me think that there would be any stealth component. I did fight 3 boss and all had a similar pattern of staying within a defined zone and attacking me while I was out. I basically played duck and cover with them. It felt like enemies were progressing faster than we were. At level 1, they were easy kill but when I was level 3 they were level 5 to 7 and I had to use a lot of clips to take them down. I didn’t see any fire from cover or cover option for that matter. For a FPS in 2014 it seems like a big miss. If you switch from one special weapon to another, you lose the ammunition for the special weapon you just had. For instance if you have 12 shells for the shotgun, switch to the sniper and then switch back to the shotgun, you will have 0 shells until you find special ammunition again. My character customizations hidden behind garbs. I don’t think I was ever the intended target for this game. Yes I do love space opera and I played RPG in the past. One reason I love space opera is the loneliness and the crazy creativity. You can create alien civilizations and mythologies and let go of some rules of physics. 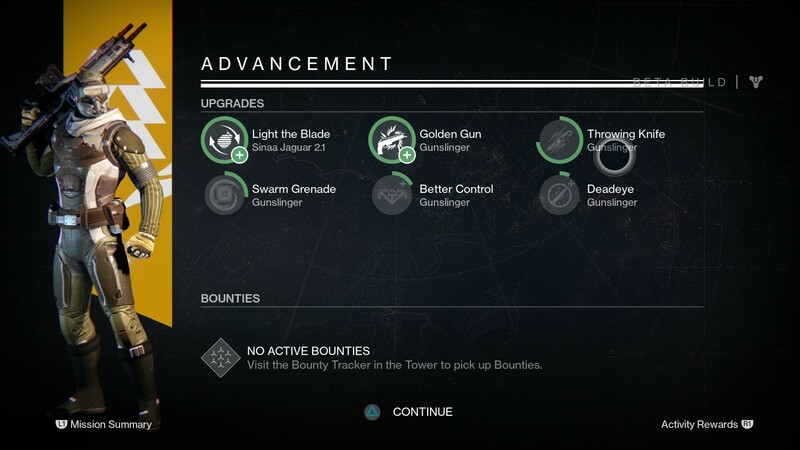 Destiny on the other hand seemed like a pretty standard MMORPG with its quests and errands. The class are non-standard but so far not really that different and revolutionary. The weapons are futuristic but classic (knife, guns, shotgun, sniper…). The BETA is now over. Bungie says it was a tremendous success. 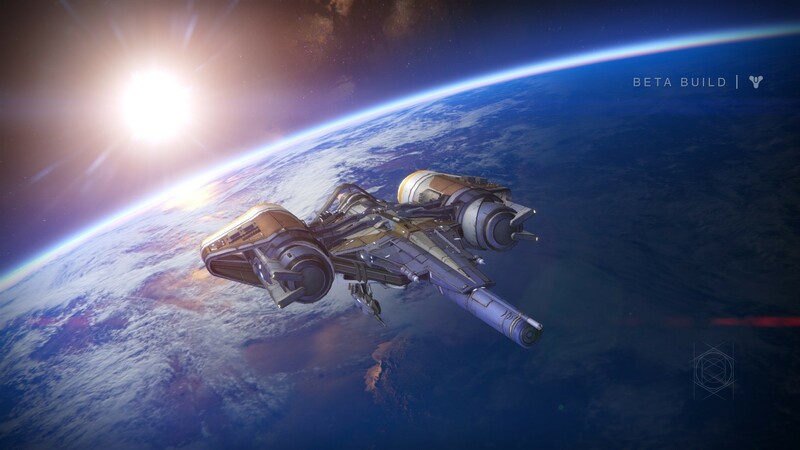 GameSpot has 7 big questions for the future of Destiny.